Dan Surra is a TSO contributor. It is no secret that we are losing thousands of hunters to old age every year. While this always has been the case, in the past they were always replaced by young, first time hunters. Sadly, we are in danger of losing a generation of hunters and how that bodes for the future of our sport is not promising. There are a several reasons causing this. From the decline of the deer herd here in Pennsylvania, video games, high school sports and a basic lack of outdoor activities in general, they all play a part in this phenomenon. How do we change this trend? 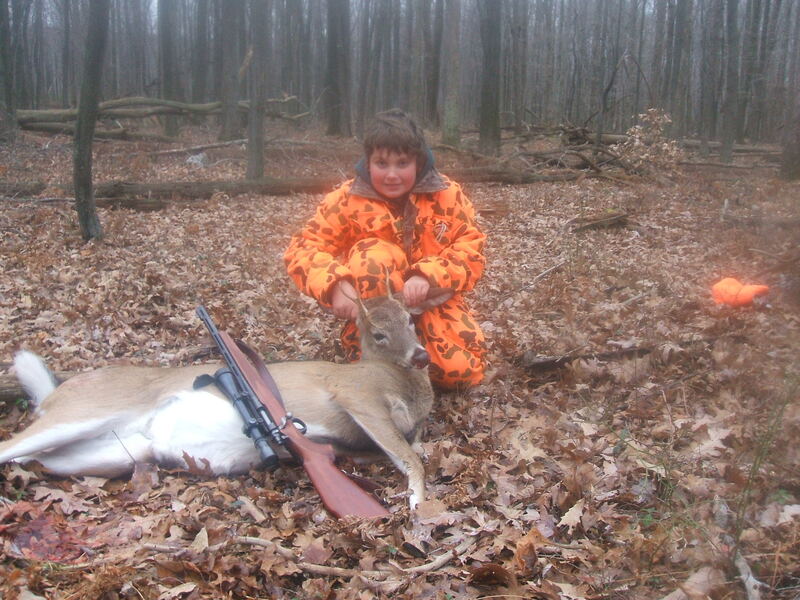 The Pennsylvania Game Commission to their credit has taken the first step by implementing special early season youth hunts for various species and the Mentored Youth Hunting Program started in 2006. These programs and initiatives give our youth today a real chance at a quality experience in the field and helped get more children involved in hunting. I was asked by my brother-in-law to mentor one of his twin boys. Regulations require one mentor per youth hunter (more info can be found here) and this created a dilemma as he had two nine-year olds boys. Having basically done the same thing for a number of years with my three sons, I was happy to participate. As a result, my nephew Christopher has learned the ins and outs of hunting and has had some success. In our first three years, he has bagged two bucks and a doe. Not bad!! I would venture to guess that he will be a life long hunter. He is hooked and it is all because of the Mentored Youth Hunting program. Mentoring youth hunters is a rewarding experience for both the youth and the mentor. Regulations are such that there is one mentor and one youth hunter. Only one weapon can be in their possession and when walking it must be carried by the adult. The ‘mentored hunt’ actually takes place from a stationary position. This is the reason that the mentored youth hunting programs across the country have such a great safety record. When mentoring it is important to remember that your purpose is to guide the youth hunter. You need to repress any selfish urges to take game for yourself. Over the years, I have taken my fair share of deer and turkey and can assure you this pales in comparison to helping a young person experience a successful hunt. As luck would have it, my three sons were three years apart in age. So, there was a nine or ten-year period when I was totally focused on teaching them the intricacies of hunting. Having a safe hunt and properly handling a gun was a big part of my curriculum. I am proud to say that my boys hold gun safety paramount and that gives this father peace of mind. During my time mentoring my children, I did not personally fill out a lot of tags as I always allowed my kids to take advantage of the opportunities that presented themselves. However, the rewards were more than I can put into words. Some of my greatest memories come from our experiences in the woods. Today, as young men, they continue to enjoy the sport of hunting. After all, that is what the Mentored Youth Hunting program is all about. So what are you waiting for? Take a kid hunting this year. Send us your questions to teamsurra@gmail.com. As always, be sure to follow us on twitter @SurraOutdoors and “like” us on Facebook.